I was sold to werewolves. They said I'm the lost princess of Howling Sky. I said I'm just Sorissa. They said I'm to be claimed by a lecherous prince and that I'll end some timeless war between werewolves, vampires, and humans. I made other plans. Then, four powerful werewolves from a rival kingdom came out of nowhere, and I was stolen again. They call themselves Phantom Fangs. Now, they're taking me to their kingdom to keep me "safe". I never imagined the drama that would ensue once Dwight stepped into my life. All I wanted to do was to make a name for myself - to claim my little piece of the pie - and buy the neighborhood bar I've been working at for the last few years. Little did I know that I'd be attracting the Wolf Brotherhood into my life. They want to stake their claim on my bar, but just because they're the most feared werewolf biker pack in Portland doesn't mean that I'll just roll over and let them have what they want - not without a fight. Well, I went a little too far one night and really ticked them off, and now Dwight has this twisted plan to stage my death to get the Brotherhood off my back. He's my maker and my lover, so I should be able to trust him - and God, there's just something about the fire in his touch that makes my troubles melt away; something about his deep, alluring gaze that pulls me in every time - but Dwight also happens to be a member of the Brotherhood. Now my sister Sera is getting roped in on the drama, and they'd better not lay a finger on her. Rumor has it, she's teamed up with a rival pack to get to the bottom of my "death". They'll stop at nothing to take me out, but I'm tired of being their victim; the Wolf Brotherhood has no idea what's about to hit them. They've messed with the wrong chick this time. 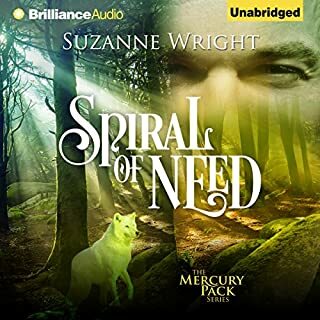 This audiobook is intended for listeners age 18 and over. It contains mature situations and language that may be objectionable to some listeners. This is a very steamy book with hot guys and strong females. I just love a story with strong females that know how to get what they want and the men who are just as alpha but know how to treat their women. It is very highly entertaining read that pulls the reader in. Each book flows easy into the next issues keeping your attention . I have to start by saying, I'm not really familiar with this genre. This story was action packed. The characters were interesting. This is likely a good read for those into shifter stories. I was provided this ARC from and am glad for a chance to try a story in this genre. 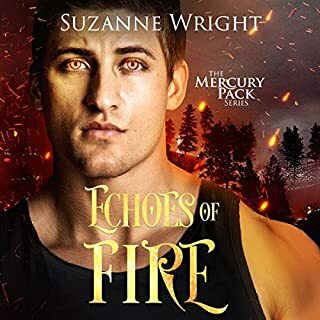 I love a good shifter story and Marked By Werewolves was decent, unusual, and the three short stories fit together nicely. The plot, as well as the characters were developed over the three stories and had a good balance between action and romance, but what I enjoyed most was the plot twists, especially the "good" guy who ends up being the villain. The only downside, the writing wasn't as polished, and at times it felt choppy, but overall it was an entertaining, fast paced and held my attention. Veronica Holly's performance was good. Her narration was clear, precise and well paced. I would definitely listen to another audio narrated by Holly. Meg Pipley has done it again! What made the experience of listening to Marked by Werewolves the most enjoyable? I had read the books before, listening to them Veronica Holly gave life to how I pictured the story in my mind. I liked how Sera wanted needed to understand what happened to her sister. Her loyalty, and love of family, drew me in. Which character – as performed by Veronica Holly – was your favorite? I did! Curled up in front of the fire put my earplugs on drank my tea and enjoyed. I received this audio book for review consideration. I got this book via audiobook boom. This was a boxed set but actually just one story. Dwight was a terrible werewolf and meant Aiza harm. The Wolf Brotherhood were a gang of were's only interested in how much they could hurt others. There were two HEAs in this story. Azia and her sister who would not stop looking for Azia and when the story ended it was great. There were some twists that could have gone a different way but in the end they were still good. the narration kept the story flowing. I was given this audio book set for an honest review. Shifter books are one of two things. Really Bad, or Good. This series is Good. It kept me guessing about Dwight for quite awhile. I like that it introduced the hero later. I'd like to know more about the Brotherhood but I know enough for this story. Hope to have more to listen to soon! Narration was very good. This is a 3-short-book compilation that is fast-paced and easy to fall into. 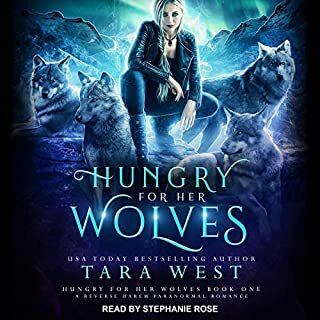 This shifter series had an interesting premise, with a bad group of oppressive, outlaw shifters in conflict with good, law enforcement-type shifters and a couple of sisters who got caught up in their mess. I enjoyed it. Veronica Holly did a great job with the voices, the feel of the story and conveying all the emotions and various voices appropriately and in a way that enhanced the audio experience. First of all I like that these stories were packaged together, relating the stories of two sisters. One sister's story has a happy ending and the other is moving towards it. 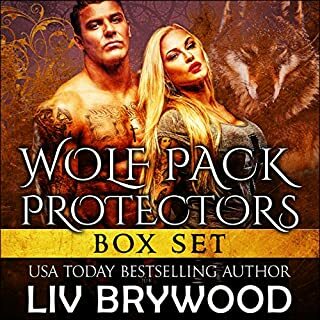 I liked the different take on the werewolf shifter story, how differently both girls were changed and the difference of the men who did it. 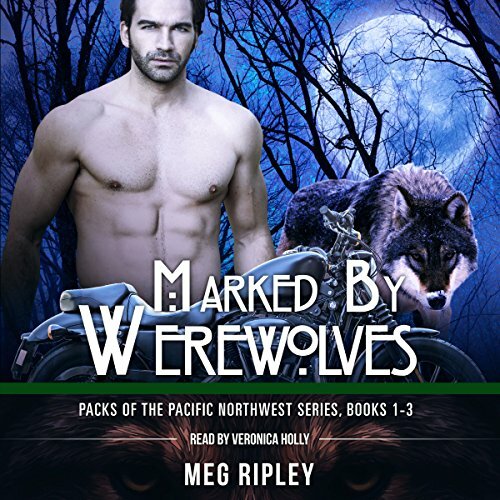 I definitely recommend Marked By Werewolves and would look for more by this author. The narrator was excellent, very enjoyable and added to the story. I didn't give it 5 stars as I have several paranormal authors and stories that blow me away. Paranormal romance to me is best when they couple are totally absorbed in each other and they see no one else. Would you listen to Marked by Werewolves again? Why? What other book might you compare Marked by Werewolves to and why? What about Veronica Holly’s performance did you like? She was a good narrator.. and well performed and had a good flow to it.